takes ten minutes to make and is gluten-free and paleo-friendly. I’ve kind of been boycotting grocery stores. Weekend before last I went to Florida for a wedding, and since getting back I have not set foot in one. I finished up my last week of my last internship for graduate school this past Friday, we’re getting ready to move down to Chattanooga this coming weekend, and I’m exhausted. Ben has been kind enough to pick up essentials like coffee, eggs, fruit, and bacon for us, but the eggs ran out yesterday. I love cooking with Thai curry paste because it has so many great flavors condensed into one easy-to-use pantry staple. Instead of chopping chiles, garlic, shallots, and lemongrass and measuring out spices, you just scoop some curry paste out of the can or jar. I used Maesri panang curry paste, which does have a tiny bit of added sugar in it. If you’re looking for a sugar-free curry paste, I recommend Thai Kitchen ‘s red curry, which is also delicious. Maesri curry paste is quite spicy, so I don’t use much at a time. I put the rest of the can of curry paste in a ziplock bag and freeze it–it’s super easy to cut off a chunk to use when you’re cooking, and you can add it right to the pan without defrosting it. If you’re boycotting grocery shopping, too, or just having a busy week, I highly recommend you make yourself some curry butter shrimp. And, of course, you don’t have to make it for breakfast–it’s scrumptious for lunch or dinner, too. I love the colors and textures in these photos … ! 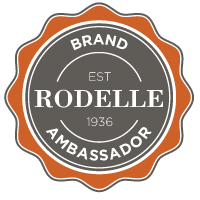 Thank you, Cristie! I try to always have shrimp in the freezer–they're my go-to for easy, healthy, protein-packed meals. Yummm!! This recipe is totally calling my name! Looks amazing! OMG. I need this in my belly. I am so hungry right now it's not even funny. These look so yummy!! I can't wait to try this recipe! Love the photos!! Thank you so much, Evi! This looks really, REALLY, yummy Rebecca – Cannot wait to give it a try! Congratulations on finishing your internship and on having your e-book ready for preorder! 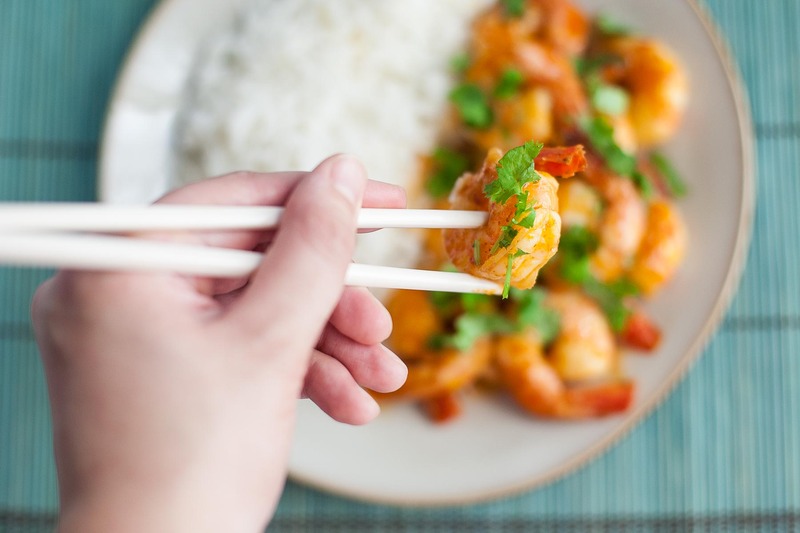 Both are awesome, and this quick and easy shrimp recipe look yummy! Thank you, Rachel! It is actually a print cookbook, but there is a Kindle version, too :). 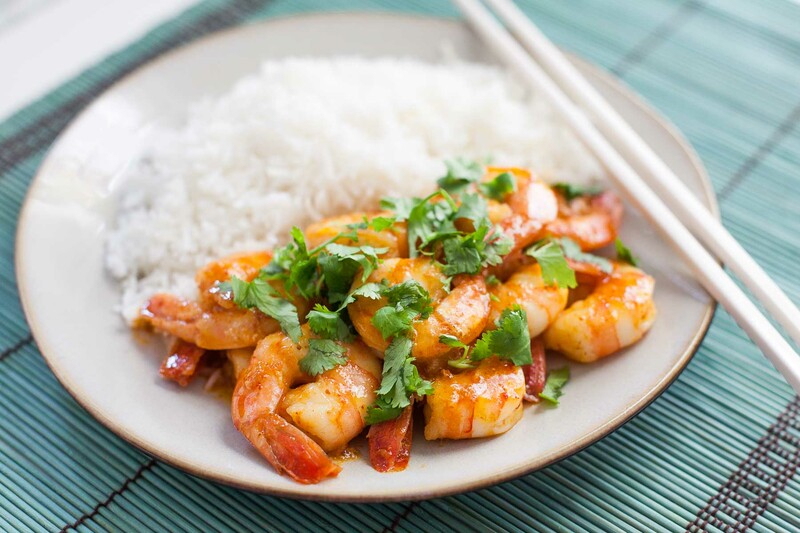 I can never have enough easy shrimp recipes! This looks so good! I love a good shrimp dish. Pretty photos, too! 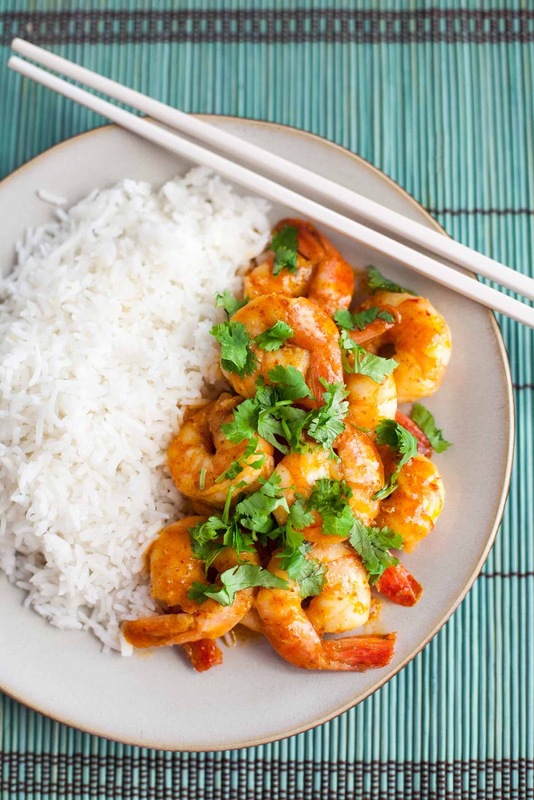 These look so amazingly good 🙂 I love both shrimp and curry…I can't wait to try it!! There are definitely days when I contemplate going the dinner-for-breakfast route. Haven't gone there yet, but let's be honest if curry butter ANYTHING were in my fridge, then it would for sure happen. 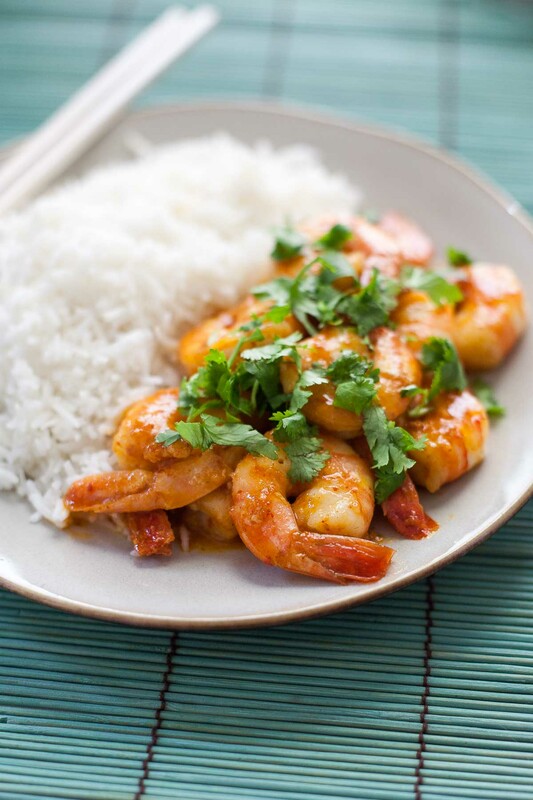 Love curry & shrimp…so the perfect combination for me!! Glad you like it, Gloria! I'm a firm believer that there shouldn't be strict "dinner/breakfast/lunch foods." When I want to eat pancakes for dinner or spaghetti for breakfast, I should be able to without getting funny looks! This curry shrimp looks great, and congratulations on the cookbook! I am 100% on the dinner-for-breakfast bandwagon and just started eating shrimp so sign me up! Great, Nora! So glad we are on the dinner-for-breakfast bandwagon together. Yea! You're coming to Chattanooga! Congrats on the cookbook, by the way. That is so exciting! This looks absolutely delicious, by the way.